The most massive galaxies in the Universe host supermassive black holes at their centres. These truly colossal black holes chew up surrounding material at astonishing rates, expelling huge amounts of radiation as they do so and glowing as some of the brightest objects in the known Universe! Despite their incredible distances from Earth, the regions surrounding these black holes shine so brightly that their appearance is similar to that of stars in our own galaxy, the Milky Way. This spectrum, taken by the UVES instrument mounted on ESO’s Very Large Telescope in Chile, shows the light from a quasar, catchily named HE0940-1050, after it has travelled through such clouds. 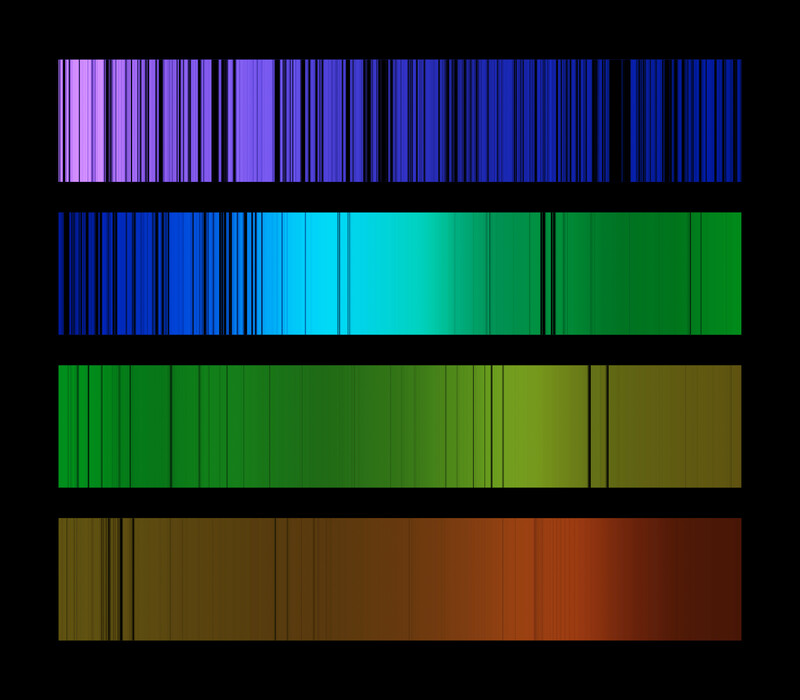 The vertical lines are tell-tale signs of absorption — they show where light has been absorbed by the gas in the intergalactic medium and thus removed from the original quasar spectrum. The intensity of the lines is linked to the amount of material which is crossed by the light. By analysing these lines, astronomers can infer all sorts of information about the material from which the clouds are made. The exceptional value of this particular spectrum is in the very faint lines which are the faintest ever observed in a quasar spectrum.